I’ve traveled around the world and back again, but it’s amazing that such a beautiful country is right across the border. 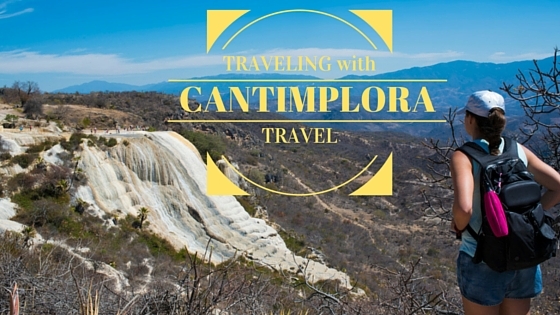 I had the pleasure to have an authentic tour through Mexico with Cantimplora (which means canteen in Spanish) Travel. 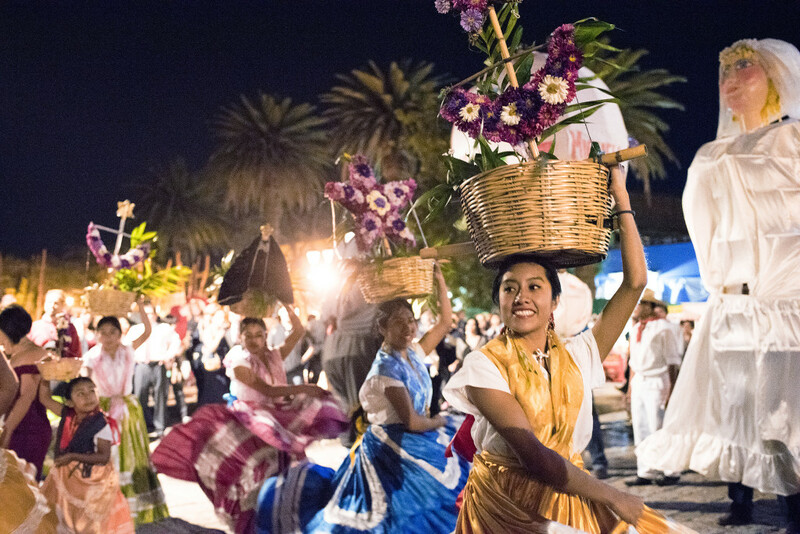 Cantimplora Travel specializes in adventurous and unique excursions through some of Mexico’s most off the beaten path destinations. Here’s the thing, I was told to NOT bring my camera on the trip (yes, this was so hard for me to believe!) because with Cantimplora you travel with a personal photographer. Imagine: never taking out your phone or camera and actually enjoying every sight, smell and sound. The trip started in Oaxaca City, which to me is hands down one of the most charming cities in the world. The romantic streets and squares make this city so special. 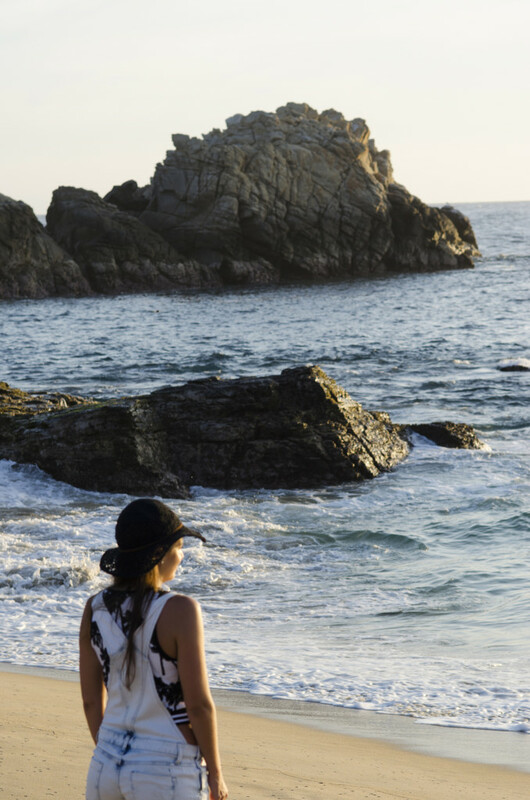 We based ourselves in the city for several nights and went to explore surrounding sites within the state of Oaxaca. Hotel Azul is a boutique hotel just steps away from the main street and Cathedral. The breakfast was my favorite part and consisted of homemade tortillas, chorizo, Oaxaca cheese, eggs, green juice and very good coffee. 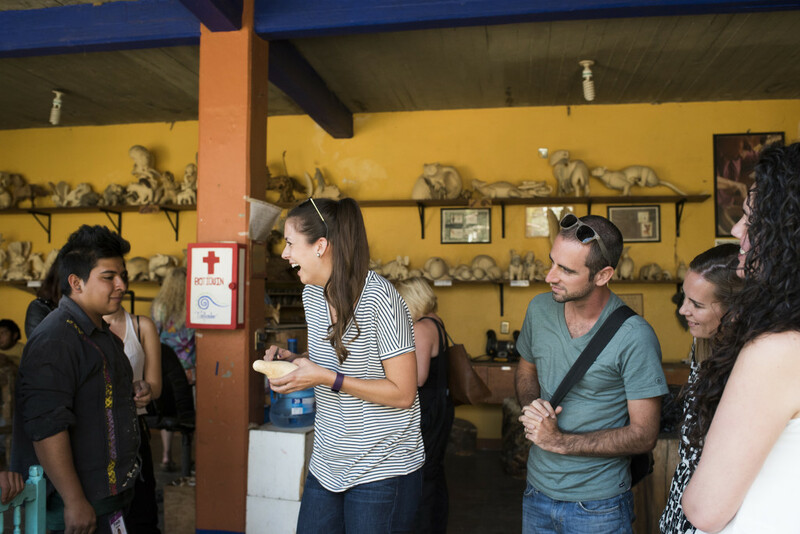 While touring Oaxaca City you can keep busy exploring the textile shops, coffee shops, sitting in Zocalo Square and drinking margaritas just about anywhere! I would definitley come back to Oaxaca to spend an entire weekend. 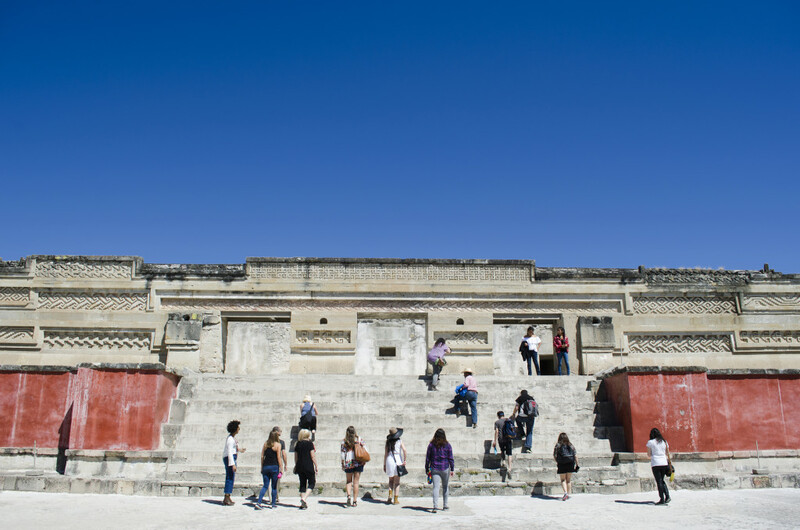 About one hour outside of Oaxaca is the archaeological site of Mitla. Cantimplora provides an English-speaking guide to show you around the site, documenting every step of the way. We then went to visit a nearby Sunday market where we found the best barbacoa around (BBQ goat). The best part about the market was that it was full of locals and not tourists- providing an authentic experience. 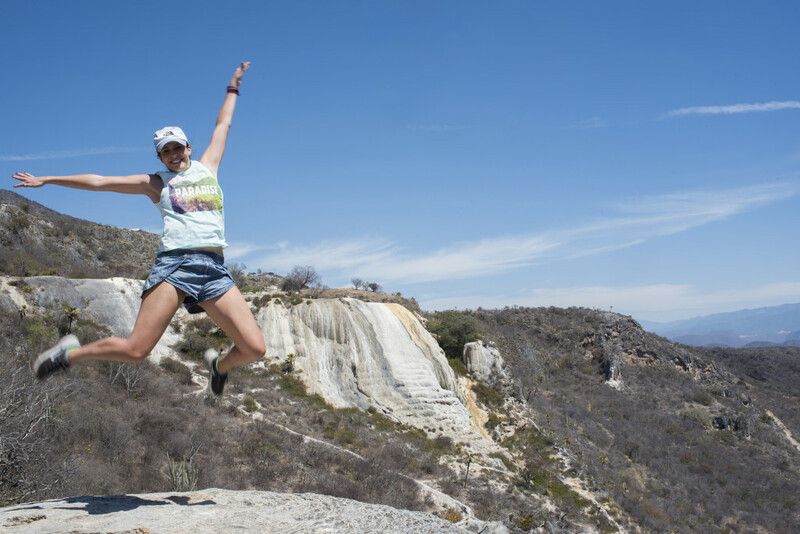 Another day trip consisted of traveling to Hierve del Agua – where calcified pools and waterfall overlook the breathtaking valley. This adventurous day started with a hike down and around the petrified waterfall and ended with a swim in the pools. After our hike, we had the opportunity to see the entire process of making mezcal. 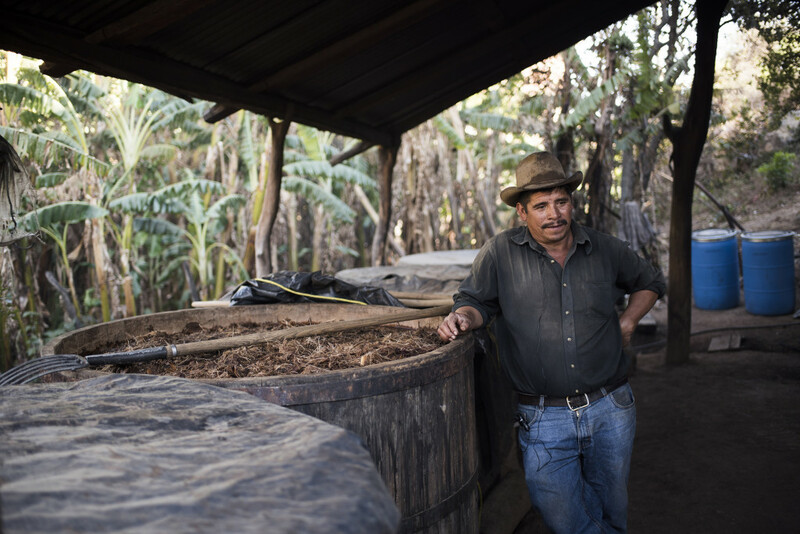 We went to see the product of Mezcal extraordinaire, Antonio Martinez. This hard workingman not only operates the process from start to finish but also has a passion that does not go unnoticed. His smile from ear to ear as he spoke about his organic product was contagious. When tasting the mezcal, it was so smooth and chemical free! After we tasted our way through the farm, we went to experience a local temazcal. A traditional temazcal was something to be done to clear the mind and body of all toxins and to feel fresh and new. Similar to a sauna experience the steam bath gives off an intense heat when the water hits the coals. Throughout the process we continued to rub natural products on our skin such as fruits, honey, even chocolate. I enjoyed the experienced and definitely left refreshed and smelling very sweet. The next day we departed towards the Sierra Madres stopping to see local artists paint copal wood figures. These talented individuals use all natural products to make the paints and with every stroke and dot, create masterpieces that are shipped around the world. 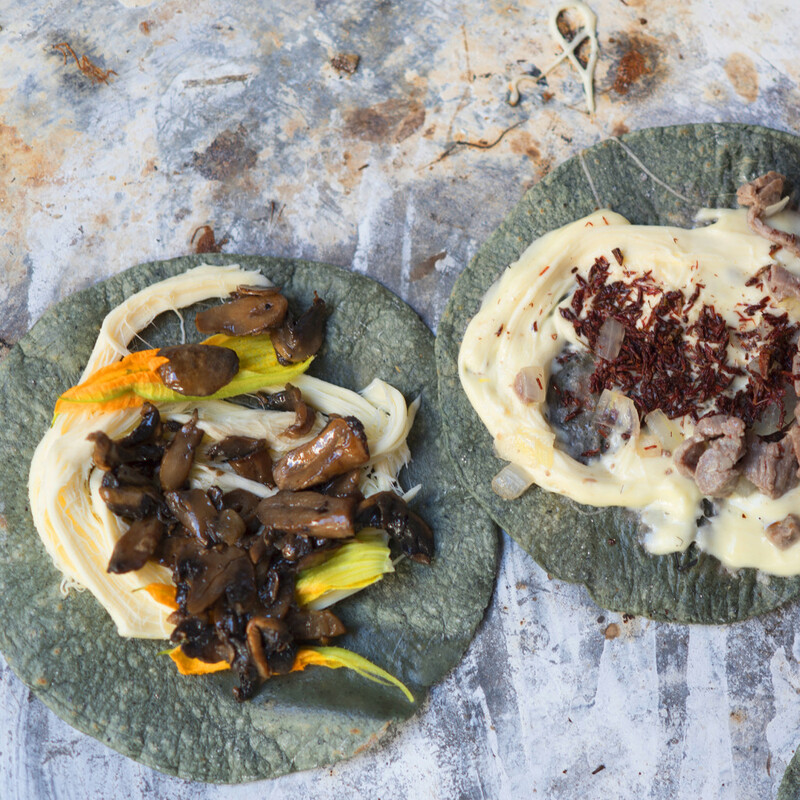 For lunch, we tried 5 out of the 7 types of moles from Oaxaca state. The food did not disappoint and we continued to drive up into the mountains where we spent the night in a log cabin enjoying the views, fresh air and cooler temperatures. In the evening we gathered around a bon fire enjoying each other’s company. The next day consisted of hoping for a strong stomach while enjoying the views on the windy road to the Pacific. 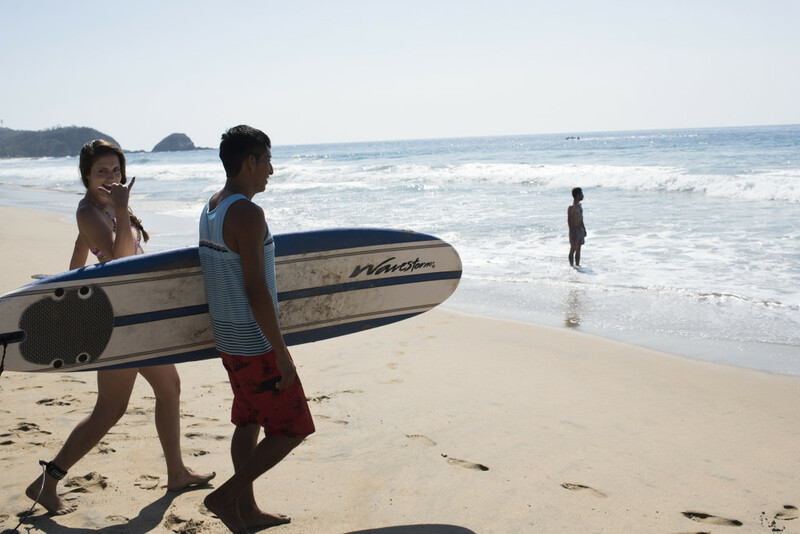 Welcomed with the deep blue ocean and beach palapas, arriving to Zipolite was paradise. The change of scenery from the city to the mountains to the beach was the perfect order for our itinerary. Everyone got into complete relaxation mode and it was time to drink margaritas and enjoy the sand in our toes. The best thing about being right on the beach is the amount of activities you can do. Whether you are swimming, sun bathing or taking a surf lesson- there was no reason to leave. One evening we hiked to see the sunset and there’s also some of the best little restaurants just steps away. We took a boat at sunrise to search for wildlife and as the sun rose, dolphins and turtles made an appearance. The sea life is amazing in the area and we had the opportunity to snorkel and lounge in a private bay for the entire afternoon. With a final dinner at one of the best restaurants in Mexico, Cantimplora Travel made the journey a very authentic experience and I have wonderful photos to remember the journey.